When launching a business, there are many decisions to make and a variety of aspects of the business to carefully plan out. Some of the most important decisions that can be made are related to establishing the brand’s identity and ensuring that the identity is a solid one that can be seen as trustworthy with the potential for solid growth. Even if a business has been long-established, one of the first things a company examines when they are aiming to expand and increase productivity is the brand itself. Some organizations may consider a complete brand overhaul, which could include a new logo, updated marketing campaigns, and the use of vanity numbers. Properly assembling a solid plan that presents the company as a positive and trustworthy brand takes great amounts of careful effort in planning and execution. Communication is critical between both internal groups working on the planning and everyday running of the business as well as communication between the staff and customers in whichever markets the company is looking to gain a solid presence. 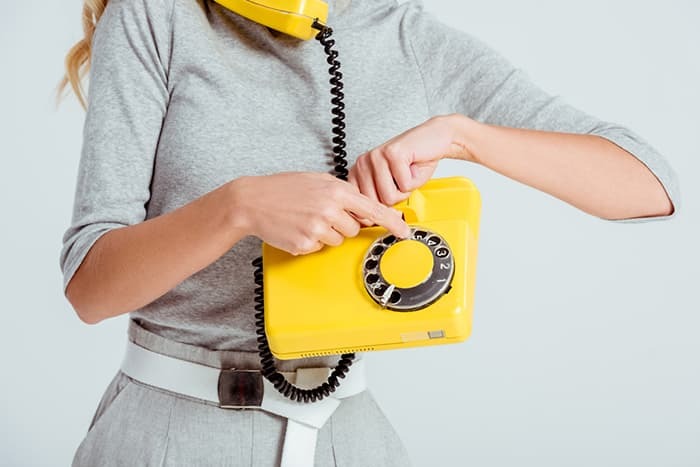 Despite the numerous types of communication that exist today, many of which are supported by the internet, industry research shows that the most desirable form of communication continues to be via telephone when in-person interactions are not feasible. Virtual toll free phone numbers allow for phone calls made to the toll free number to be forwarded to any landline or mobile number that the business owner prefers the calls be forwarded to. This offers a great benefit to the business owner that is on-the-go frequently and does not want to run the risk of missing important calls. Even businesses that operate almost completely online still need a telephone number, and for those who do include a telephone number in their marketing materials, vanity phone numbers may very well be the best option. Vanity phone numbers are typically toll free numbers. Toll free numbers are telephone numbers that are used by businesses and typically begin with an 800, 833, 844, 855, 866, 877, or 888 prefix. They are referred to as toll free phone numbers because callers who make telephone calls via these types of telephone numbers are not charged for the call. The companies the callers are reaching out to own the phone numbers and pay for the calls. This is a fantastic benefit to offer to customers, clients, and all other potential business associates that will need to reach a company by telephone. Vanity numbers or vanity toll free phone numbers work in the same way as a regular toll free number, except that they have digits that spell out a word or phrase that is related to the service or product the company offers. Businesses have been utilizing vanity numbers for many years because they are much easier for customers and clients to remember. Most people can easily recall a few examples of popular vanity phone numbers. Vanity telephone numbers have been proven to boost the number of incoming calls as well as the number of sales for many businesses because they are so simple to remember. With meticulously planned repetition through advertising efforts, such as television or radio, vanity telephone numbers have had a very positive effect with regard to boosting brand awareness. Think about some examples of popular vanity numbers that you recall. Most, if not all of the companies tied to these numbers are likely very successful due to their easily-recalled numbers. Examples of popular vanity phone numbers include 1800-FLOWERS, 1800-GoFedEx and 1800-MATTRESS. These types of numbers make a statement in the minds of those in the market who see and hear them. They are repeated through various marketing efforts and soon enough, these numbers become commonplace in the minds of anyone who has viewed them or heard them multiple times. Business toll free numbers are important assets because they permit business customers to call a business while not having to incur a charge for the call. Offering a toll free number for a business is a very good way to give your business a much larger-scale and more established presence. When you add the benefit of purchasing and using vanity toll free numbers, you are undoubtedly enhancing the overall possibilities for the success of your business. Business owners can look to Global Call Forwarding to have vanity phone numbers set up for their companies. Some of the additional features that Global Call Forwarding offers when a business sets up vanity phone numbers are unlimited extensions, rollover of unused minutes, and the ability to make outbound calls. Contact Global Call Forwarding today to discuss examples of popular vanity phone numbers, the benefits of these types of phone numbers, and to get your business set up with a vanity phone number as soon as possible.